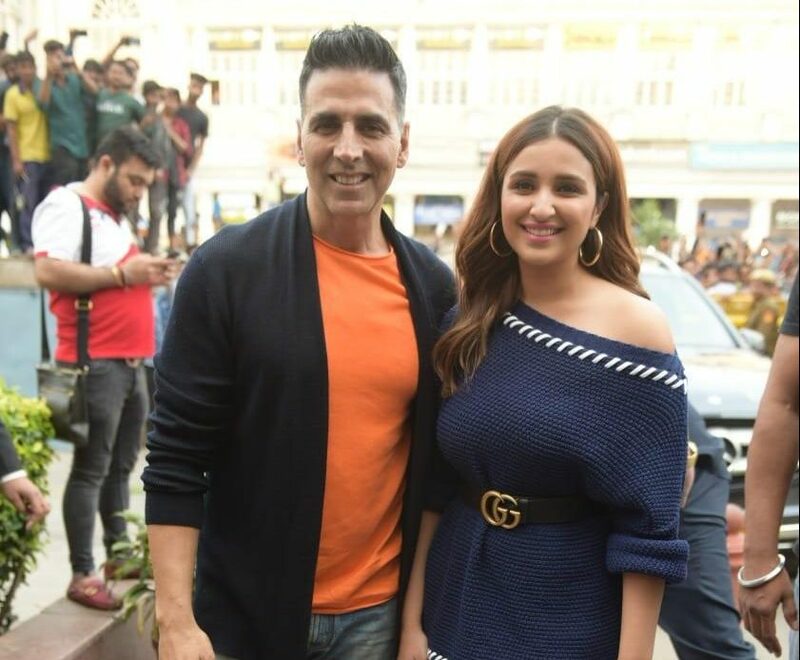 Akshay Kumar and Parineeti Chopra were snapped in Delhi for the promotions of their upcoming period war film titled Kesari. Have a look at the pics. Akshay Kumar and Parineeti Chopra will be seen together in the film Kesari. Today, the actors were snapped during the promotions of their film. Kesari is based on the true story of the Battle of Saragarhi. The Battle of Saragarhi is one of the prominent wars fought in the history of India where 21 Sikh army men fought against 10000-12,000 Afghans. Akshay Kumar plays the lead role and the leader of the Sikh army named Havildar Ishar Singh. The trailer received a hugely positive response and the audience is looking forward to witnessing Akshay’s fierce and powerful avatar in the film. Kesari is Akshay’s first release of 2019. It also is his first film with Parineeti Chopra. Earlier in an interview with a portal, Akshay Kumar revealed that not many Indians know about the Battle of Saragarhi. He said that it is quite sad that the British celebrate Saragarhi day but Indians aren’t aware of it. About the bravery of the 21 Sikh soldiers, the Gold actor said, “Knowing that death is inevitable and continuing the fight requires a lot of bravery.” The actor said these soldiers fought against these 10000-12000 Afghans for India and its honor. The actor wants parents to take their kids to watch this film not for the entertainment purpose but for educational purpose as he wants more and more people to know about the Battle of Saragarhi. Earlier in the morning, Akshay Kumar and Parineeti Chopra promoted the film in Chandigarh. Last week, the actors held an event in Mumbai where they launched their song Meri Mitti from the film. 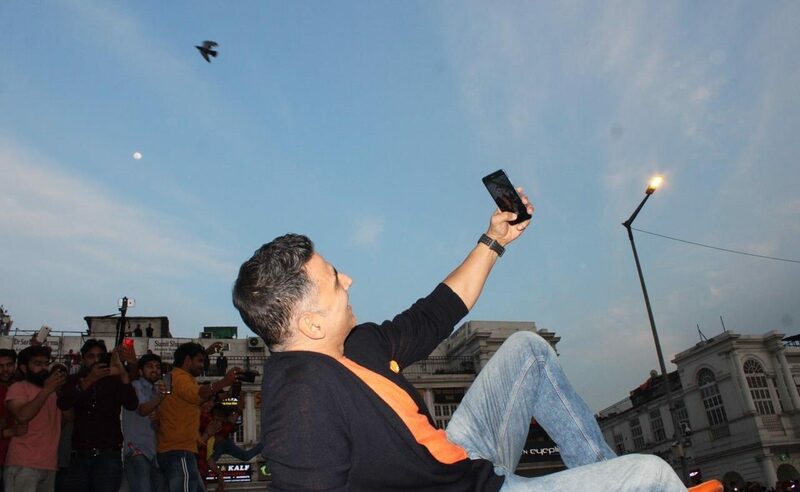 This promotional event was held in Delhi and Akshay and Pari were welcomed by a sea of fans. To greet his fans, Akshay Kumar sat on the roof of his fans, thus making their Monday special with a small glimpse of their favorite superstar despite being surrounded by thousands of fans, Akki made sure he clicked selfies with them. Parineeti Chopra plays Akshay Kumar’s wife’s role in the film. Earlier in an interview, she had said that working with Kumar was a dream come true for her. With Kesari, Akshay Kumar will be awakening the patriotic feeling among the audience again. He had said recently that he doesn’t have any agenda or do not wish to join politics but only wants to be a part of the films that connect with the audience. Akshay and Parineeti starrer Kesari will hit the screens on this Friday, March 21. Let Us know your thoughts about the Movie in Comments. Previous articleSalman Khan Words for Priyanka Chopra for launching a dating app post her marriage.